Omega ’53 Issue Strap? Inquiry from the Mail Bag – I Already Have a Watch. 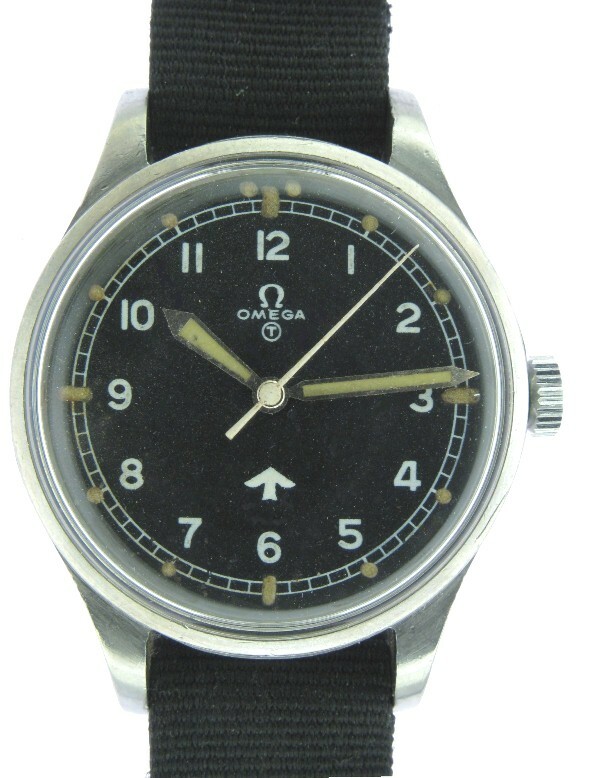 The Omega ’53 watches were delivered to the Ministry of Defence without straps or bracelets, so picking the “official” strap from Omega is essentially impossible. The Omega ’53 also predates the G10/NATO design by a few years, so such a design could not have been used at least in the beginning. If I remember correctly, it’s generally believed that the issue straps for these were likely Bonklip “ladder” type steel bracelets, just as they were for the IWC and Jaeger-LeCoultre Mk. XI that preceded them in the flight navigation role. I hope this answers your question, and I’d suggest you ask at the Military Watch Resource for more and better info. There are a number of experts there who can likely provide better insight. And as much as I admire them, I have yet to acquire an Omega ’53 so my advice should probably be considered inexpert at best. 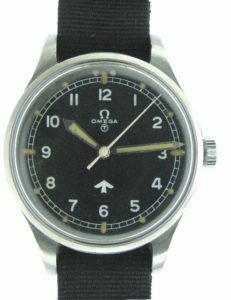 Posted in Military Watches, Omega Watches, Straps. Tagged with Military Watches, MoD, Omega Watches, Straps. I think I agree there, that the most common bracelet would have been the Bonklip. I’ve always thought these look a little weird since they’re quite narrow for this particular watch, so it looks better with the G10/Nato.